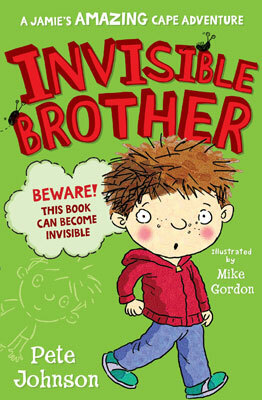 Exciting thriller acclaimed for its anti-bullying themes. A highly popular class reader. 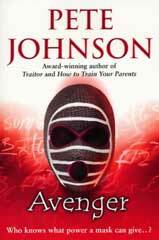 Book Club notes available on Traitor page. 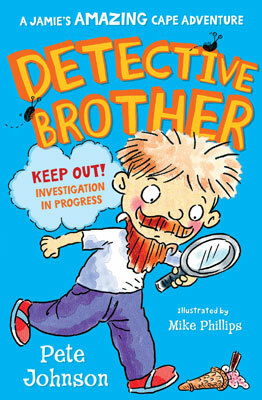 Best-selling comedy about ‘parent fatigue,’ introduces Pete’s most popular character - Louis. A highly popular class read. 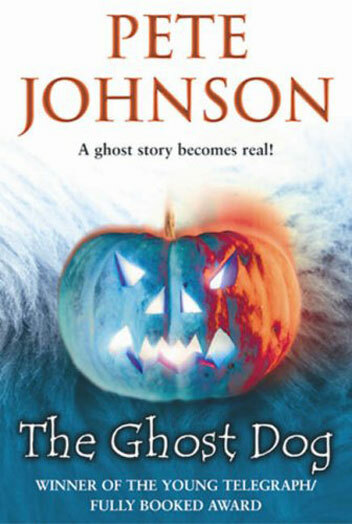 Award-winning spooky tale about the power of imagination. 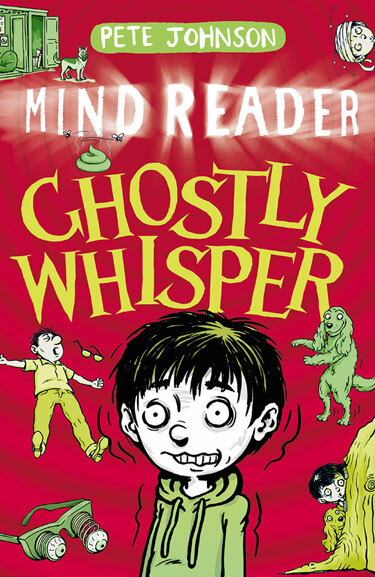 A big favourite and great stimulus for creative writing. Highly topical comedy about technology and social media addiction. Already proving a favourite with book groups. 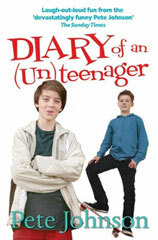 Brilliantly observed comedy about becoming a teenager. 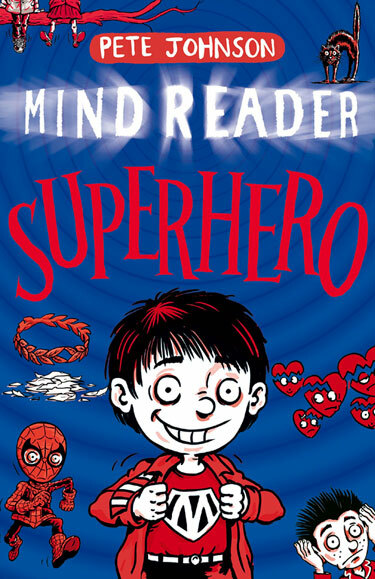 A highly popular class reader, great for reluctant readers. 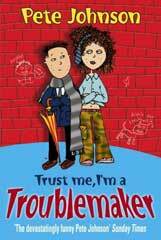 Award-winning comedy about Archie, who thinks he’s too ‘mature’ for school. All the pupils find him unbearable especially Miranda, the class trouble-maker. 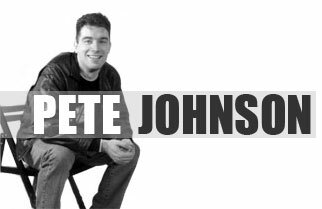 Widely regarded as one of Pete’s best comedies. 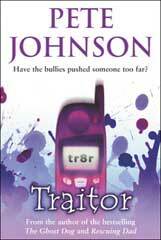 Award-winning thriller about bullying – interesting follow-up to ‘Traitor.’ A gripping, challenging read. What happens when your parents ask for tips about being cool? 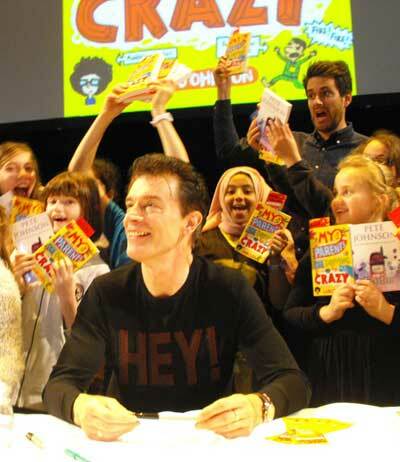 Much-loved Louis comedy – a big hit with pupils – and adults. Yields great discussions. 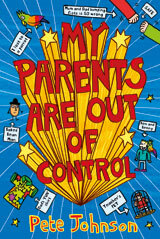 Book Club notes available on ‘My Parents Are out of Control’ page. Louis’s parents ask him for tips on being cool. Then Louis’s dad turns up at his school dressed up as a gangster rapper. Time for Louis to take action – and fast. 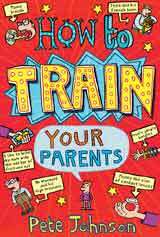 ‘How to Train Your Parents,’ ‘My Parents Are Out of Control,’ ‘My Parents are Driving me Crazy,’ ‘How to Update Your Parents,’ and ‘How to Fools Your Parents.’ Click the covers below for more information. Pupils from twelve schools packed into The Crucible in Sheffield on Friday 22nd March. They had all come to hear Pete talk about his most popular titles in Sheffield – the LOUIS books, of course, and THE GHOST DOG, TRAITOR AND THE VAMPIRE BLOG. 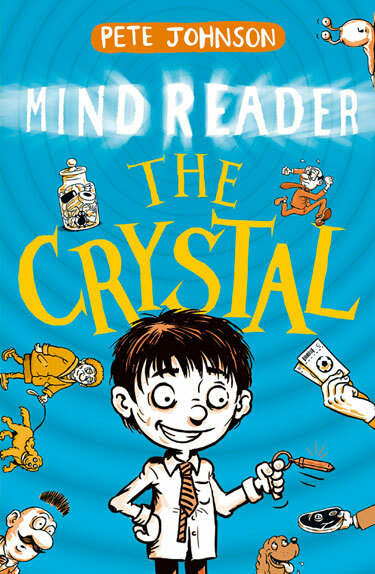 Pete also introduced them to his new, acclaimed MINDREADER trilogy – with magical tales of a crystal which has the power to ‘overhear’ anyone’s most secret thoughts. 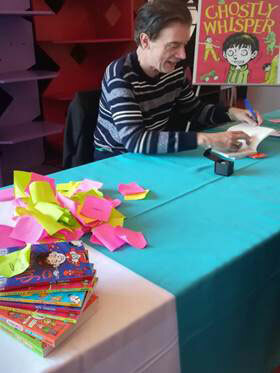 This was followed by a book signing which lasted for nearly two hours! 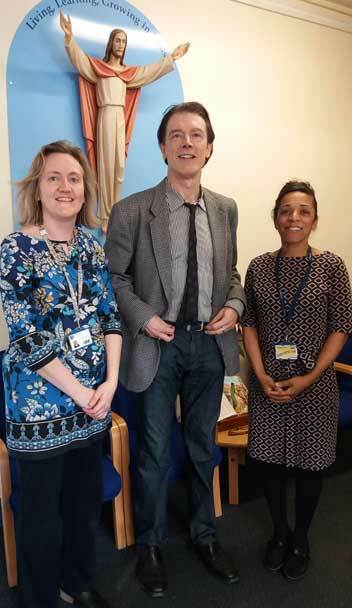 Pete says, ‘I was thrilled to be invited back to Sheffield by the School Library Service. 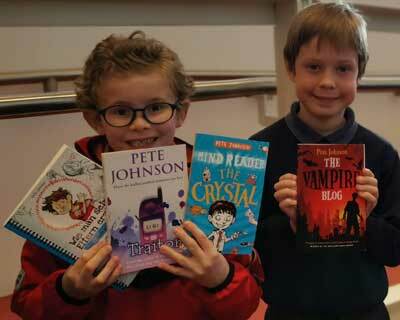 They are devoted to the promotion of reading and really care about books, story telling and their readers. ‘The audience at my event were so engaged and enthusiastic, listening intently to me for over an hour. While their questions were highly original and showed a keen understanding of my work which, of course, cheers the heart of any author! Senior Schools and Young People’s Library Officer, Sheffield. OFF TO SCHOOL WITH . 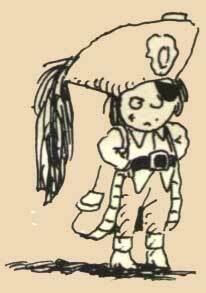 . .
What happens when Jamie and Reema take a Pirate to School? 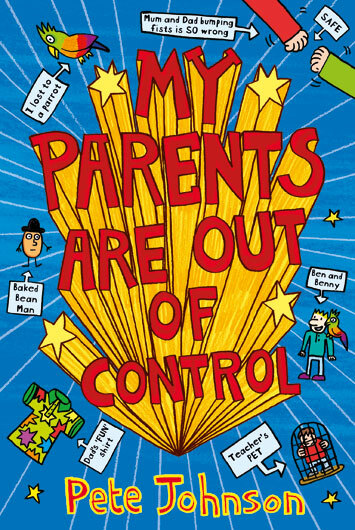 It’s WORLD BOOK DAY. Everyone is dressing up as their favourite character. But Jamie has a magic cape which grants wishes. 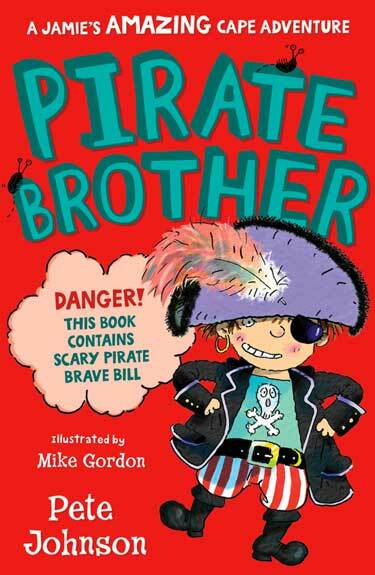 So he wishes he could jump into a story with his favourite character: Brave Bill, the boy pirate. 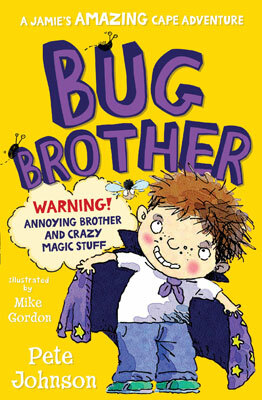 But the wish goes wrong and instead Jamie magics Brave Bill out of a story and into his bedroom! You will laugh at all the chaos Brave Bill causes . 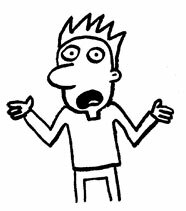 . . but something very exciting happens too . . .
Read the other books in the Jamie Magic Cape Series! Click the covers below for more information . . .
Literacy Co-ordinator at St. Teresa’s Primary School, Harrow. Click the cover for the full review. Which books will provide ‘more fuel for their reading fire’? But which ONE would you recommend to read first? "It was a fabulous event – my best ever launch." 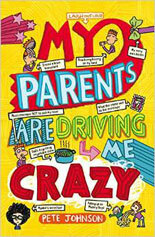 Click here for Pete's blog about the launch of ‘MY PARENTS ARE DRIVING ME CRAZY’ at The Crucible Theatre, Sheffield. 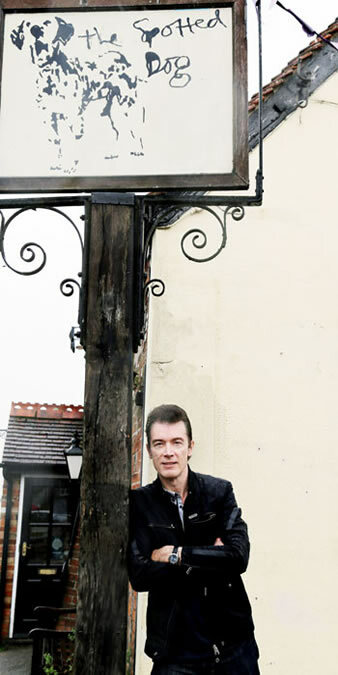 Pete’s all-time favourite children’s book is ‘101 Dalmatians’ by Dodie Smith, so he is delighted to have his picture taken at The Spotted Dog in Flamstead.